Perfect for the space constrained living. 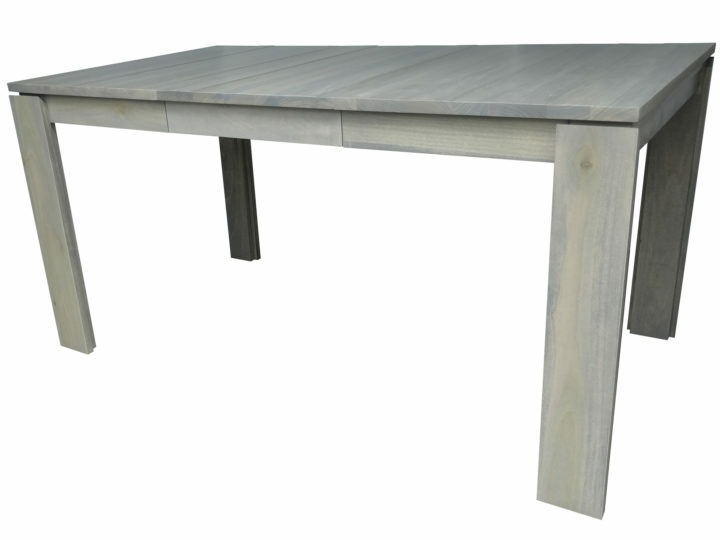 Without leaf, this dining table is perfect for just the 2 of you. Add the leaf that stores inside the table and it becomes perfect for 4 (and at a squeeze 6). No need to worry about any pedestal or legs in the way and simple to use.